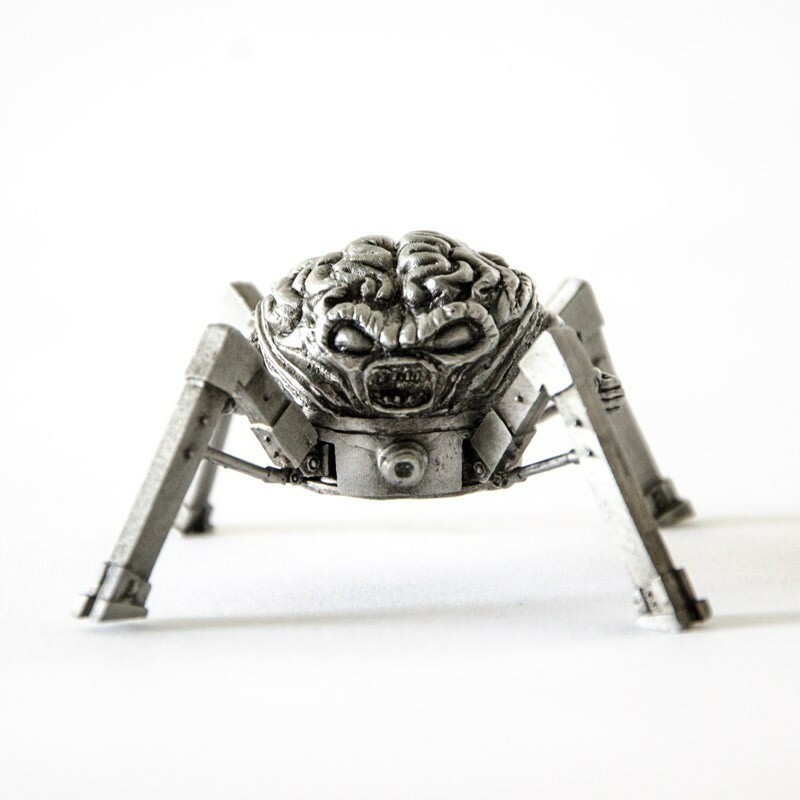 DOOM's classic hand-crafted miniatures have been re-released for a wonderfully terrifying collector's set. Not everyone agrees about the merits of id Software's latest games, but it still knocked the ball out of the park with DOOM. In the early 90s, DOOM and DOOM II practically defined the FPS genre, and perhaps even gaming on the whole, thanks to over-the-top action gameplay and iconic monster designs. 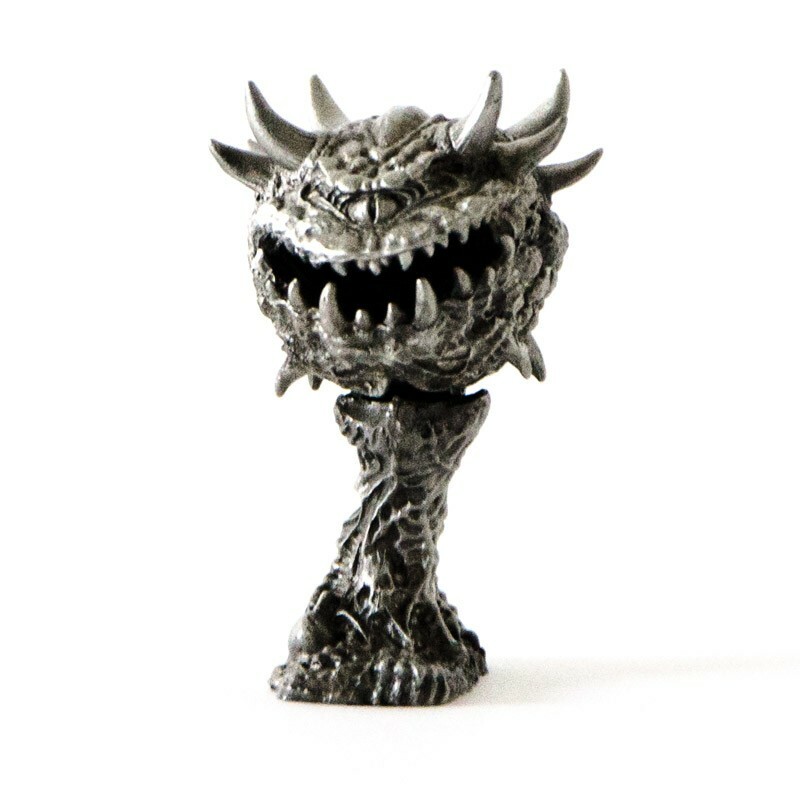 Sure, those sprites may look dated today, but if you'd purchased an id-licensed collectible by Reaper Miniatures at the time, you'd have seen a creature that was both wonderful and terrifying to behold. 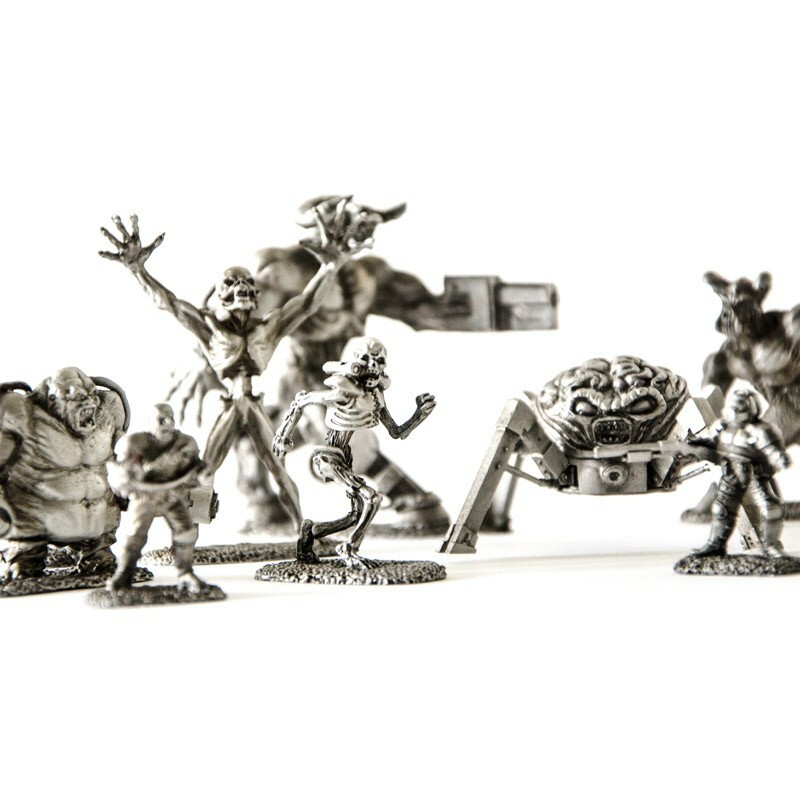 Perhaps that's why Bethesda, in an ideal example of cashing in on nostalgia, has re-released the entire miniature line as a collector's set for new generations of fans. 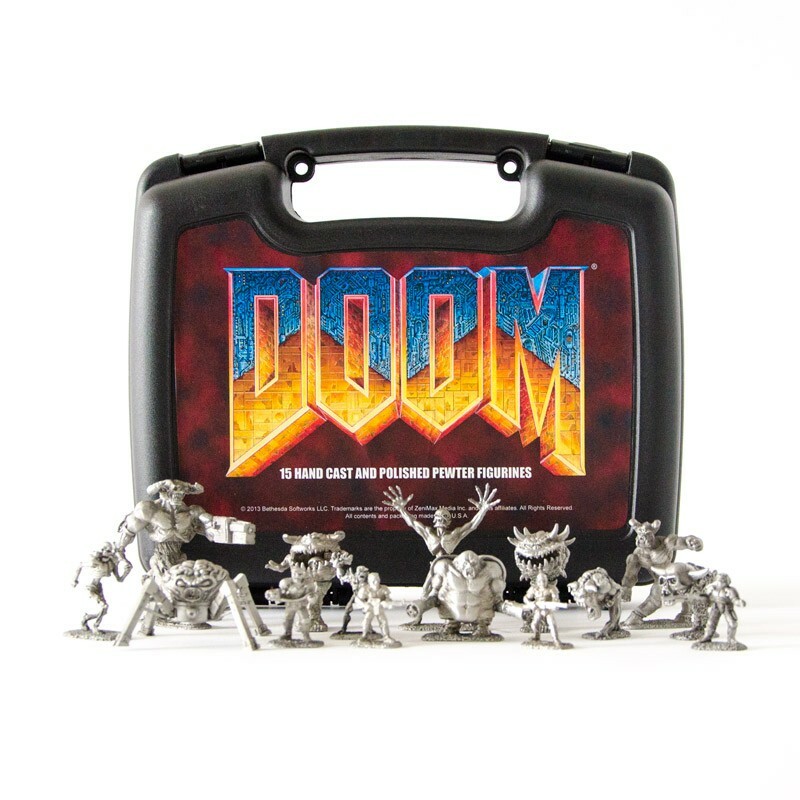 The complete package includes 15 hand cast figures based on the original DOOM sprites, ranging from your common Imp to the Arachnotron. 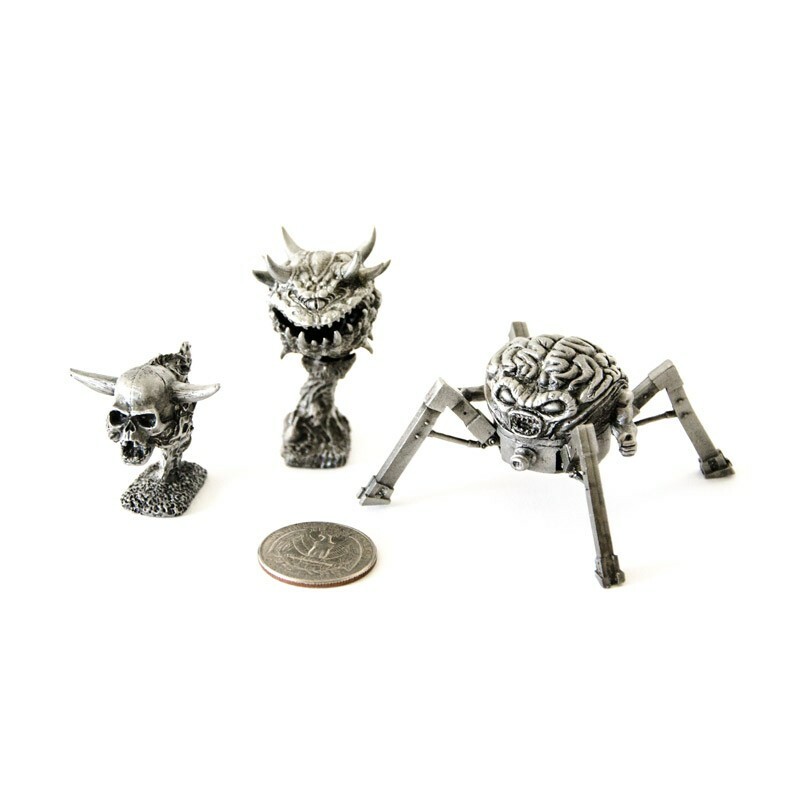 Each mini was created from the same molds as the Reaper Miniatures edition, the only change being an updated base stamp confirming the new version. It's unclear whether the miniature monsters are represented to scale compared with the games, but that Cyberdemon still towers menacingly over the Space Marine, so I doubt few will complain. The only real downside to this set is its price; prospective buyers need to put down $200 for the entire collection, which is the same price as a PlayStation Vita these days. 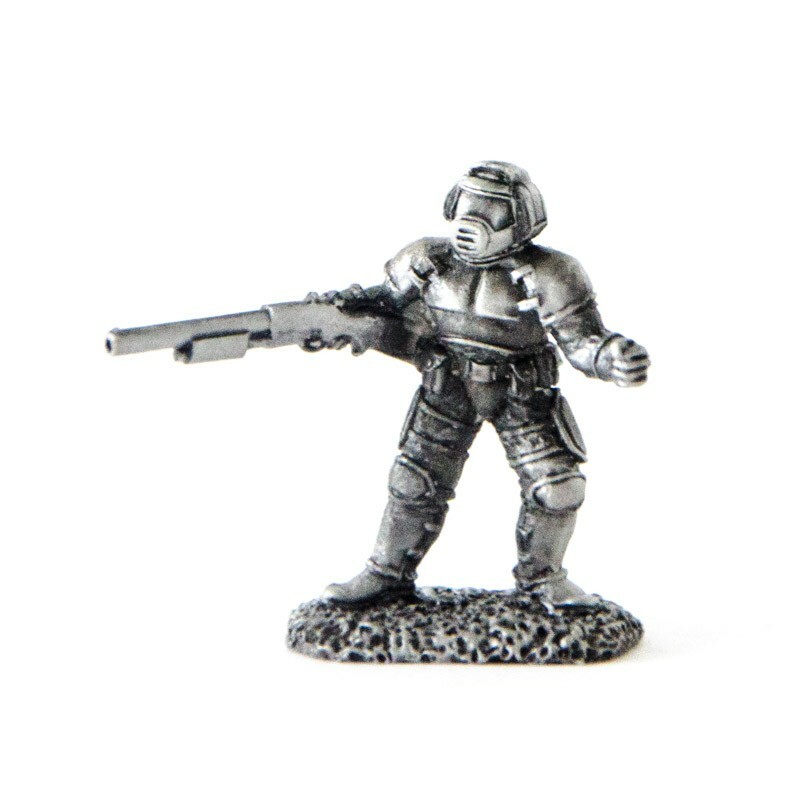 That said, the original Reaper Miniatures were never offered as a complete set like this, so collectors don't have to worry about tracking down individual figures. 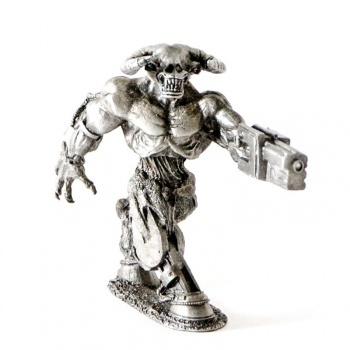 Be warned, however, that Bethesda's re-release is very much a limited edition, so you should hurry if you want some pewter demons of your very own.